Image from ffffound via World Famous Design Junkies. DITTO. 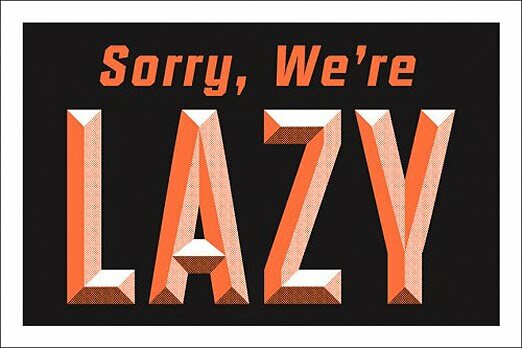 I feel like I need to get this sign and hang it out in front of my LIFE. hanging that sign on my door now. Bloggity - that's a great word! You're allowed the day off - just don't disappear for too long! 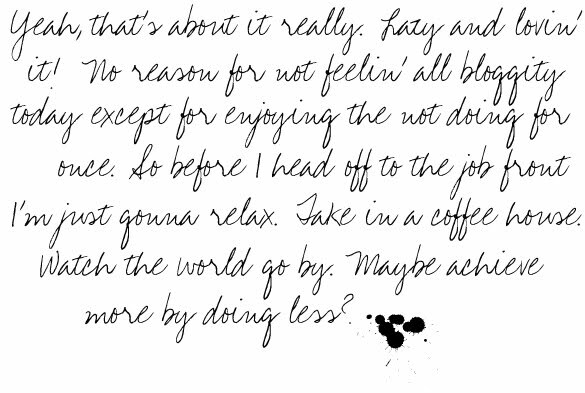 Achieve more by doing less - love that. I am in for some relaxing : inspiration! Hmmm, this brings to mind a few co-workers I have had the displeasure of working with in the past.